New research focusing on how brain structure may impact brain activity and ultimately human behavior could one day lead to technology that can be catered to an individual Soldier in a training environment or operational setting. Researchers at the U.S. Army Research Laboratory and the University at Buffalo are developing a new tool — computational models of the brain — to learn more about how differences in the architecture of each person's brain may influence how quickly a person completes various cognitive tasks. The research specifically focuses on interconnectivity within the brain, looking at how different regions are linked to and interact with one another (traits that vary between individuals). This work has implications for individualized medicine in both the military and civilian healthcare sectors, said Dr. Jean Vettel, an ARL neuroscientist, who's working with a team to extend this concept to the idea of individualized Soldier systems. "Instead of having the same system for all Soldiers, ARL develops novel ways to passively measure differences in the way that Soldiers perform tasks so that systems could be catered to the individual needs of the Soldier," said Vettel, who is also a senior science lead at ARL who is also affiliated with the University of Pennsylvania and University of California, Santa Barbara. Vettel is co-author of research published in PLOS Computational Biology Oct. 17. In the new study, researchers created data-driven mathematical models of the individual brains of 10 people based on diffusion spectrum images which capture the structural wiring of the subjects' actual brains. Scientists then used the models to learn about each person's brain, including how easily the brain jumps into an active state when it's stimulated, and which brain regions become synchronized, exhibiting similar activity, when the left inferior frontal gyrus, an area of the brain important to language, is stimulated. This research identifies a potential strategy for enhancing performance by understanding brain stimulation protocols that can be designed to improve performance. This work has a natural extension for training, where future research could examine how stimulation to specific brain regions may improve performance. In an initial proof-of-concept study, a team led by University at Buffalo mathematician Sarah Muldoon finds that this approach shows promise for understanding the interplay between brain structure and performance on language-related tasks. "We are creating these personalized brain network models to understand what the brain is doing, based on how connected different regions of a person's brain are to one another," said first author Kanika Bansal, a postdoctoral researcher jointly working at UB, ARL and Columbia University. "Models like this are powerful tools because they allow us to conduct 'in silico' experiments to understand brain function on a personal basis," said Sarah F. Muldoon, PhD, assistant professor of mathematics in the UB College of Arts and Sciences and a faculty member in UB's Computational and Data-Enabled Science and Engineering and neuroscience programs. Developing personalized models of brain activity could not only improve neuroscience research, but also spur advancements in using brain stimulation to treat disease or enhancing human performance on various tasks. "It's important to create biologically inspired ways to predict individual responses to brain stimulation," said co-author John Medaglia, PhD, assistant professor of psychology at Drexel University and adjunct assistant professor of neurology at the University of Pennsylvania. "The attractive idea here is that we can examine complex activity in each person's brain networks. Then, we can define relatively simple measures that are strongly related to real-world performance. This balance between simulating complex processes and making simple predictions is necessary to drive brain stimulation research forward." In both medical treatment and task performance, understanding individuals' brains — as opposed to the human brain in general — could have benefits, the authors say. This is because variations in the architecture and function of the brain may influence how the organ responds to neurostimulation, leading to different results for different people. Danielle Bassett, Eduardo D. Glandt Faculty Fellow and associate professor of bioengineering and of electrical and systems engineering at the University of Pennsylvania, contributed to the study. She is also affiliated with the University of Pennsylvania departments of neurology, and physics and astronomy. 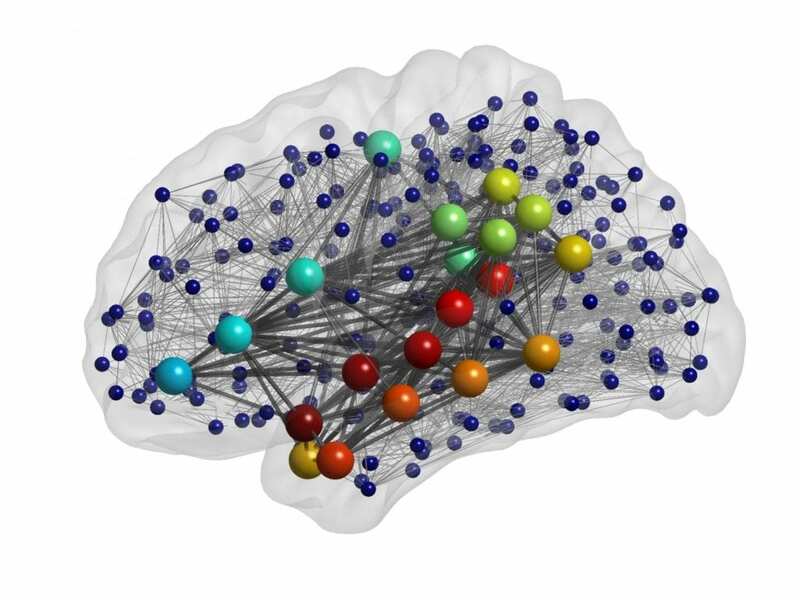 The research, Data-driven brain network models differentiate variability across language tasks, was funded by mission funding to ARL, with certain authors supported by the MacArthur Foundation, Alfred P. Sloan Foundation and National Institute of Mental Health. Why don't birds fall over when they jump?